Holiday Sale for the season, starting on Black Friday! The instrument is a high quality, hand carved full size violin. It was setup in the Kolstein shop, and finished with a beautiful antiqued hand varnish. The instrument comes with a case and a wood bow. Includes: Dominant Violin Strings, Plush Dart Shaped Suspension Case, Claude Michaud Full Silver lined Brazilwood Bow and Kolstein Violin Rosin. Features all the handcrafted quality of the 100 series, but offers more figured graining, more select aged varnish techniques, and higher level fittings. The 200 series is an ultra level student instrument that offers higher professional esthetic and tonal qualities. The Liandro DiVacenza Model 75 cello is the ideal instrument for an advancing student. The Model 75 is constructed with a Euro-Style solid Spruce top, Euro-Style laminated maple back and sides. The instrument is finished with a reddish brown nitro lacquer. The model 75 is assembled with Ebony fittings and setup with a French Maple bridge, German made Wittner Ultra Tailpiece and D’Addario Kaplans to bring a warm sound to the cello. The DV-75 series is an ultra-level student instrument that offers higher professional esthetic and tonal qualities. Includes: Kaplan Cello Strings, padded cover, Claude Michaud Brazilwood bow and Kolstein Cello Rosin. The model 300 is the Master Art series of the DiVacenza line. These finely handcrafted cellos are made with select quality, seasoned spruce tops and highly figured maple backs, ribs, and necks. All fittings are quality ebony pegs and tail pieces. These instruments feature an elaborate antiquing varnish process that gives the model 300 a quality, aged appearance. Tonally and esthetically these fine cellos are true Master Art quality. 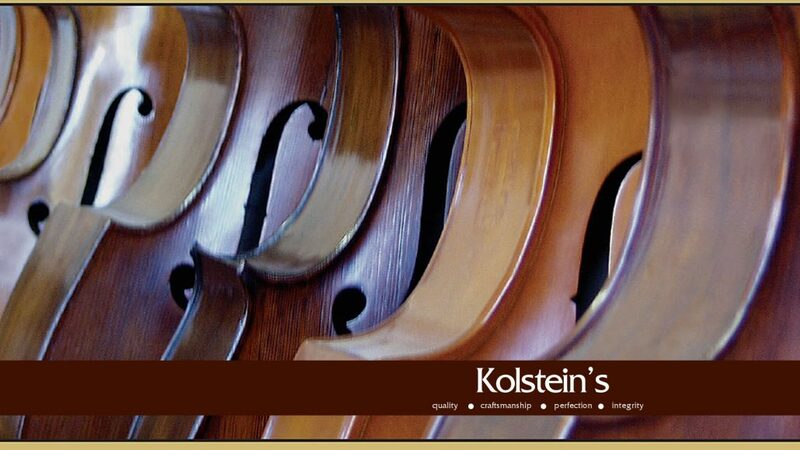 As with all the DiVacenza cellos, setup work is accomplished to full professional standards in the Kolstein violin shop. Includes: Kolstein Cello bib, Claude Michaud Fuill silver lined Brazilwood Cello Bow and Kolstein Rosin. DiVacenza Model #150 is the highest quality Hybrid designed Bass. This finely crafted Bass Violin features a highly seasoned hand carved spruce top, highly flamed maple veneered laminated back and ribs. It is a bass of 3/4 size with violin corners. The back is swellback in design. The bass is finished with an antiqued deep brownish red color and has a most impressive deep, lush orchestral or jazz quality of sound. The model #150 bass is set up with all the hallmarks of the Kolstein shop including: the Kolstein Adjustable Bass Bridge with ebony adjusters, full Kolstein dressing of the high quality ebony fingerboard, tonal adjustment, a Kolstein Fendt brass collar endpin with convertible carbide point-crutch tip and with Kolstein VariCor Excel or Heritage bass strings. Includes: VariCor Excel or Heritage bass strings, semi-padded cover, Claude Michaud Brazilwood bow and Kolstein Supreme Bass Rosin. Top Is a Two Piece Sectional Table of Fine Seasoned European Medium Grained Spruce. Back Is a Two Piece Sectional Flatback Table of Highly Seasoned European Slight Figured Slab Cut Poplar. Ribs Are of Matching Character Poplar to That of the Back Table. Neck and Scroll Are Original of Moderately Figured Maple. Varnish Is a Reddish Amber Color, Antiqued in Nature. Gears Are Tyrolean Wooden Knobbed Individual Brass Tuners. Modified 7/8th Size Roundback Violincornered Design. Old World Sound in a Contemporary Instrument. Highest Seasoned Select Quality Woods. Top Table is Two Piece Vertical Grain Spruce. Back Table is Two Piece Moderately Figured Maple. Ribs Matching Character Maple to that of the Back Table. Fine Deep Reddish Brown Colored Antiqued Italian Oil Finish. Kolstein Deluxe Baker Style Brass Tuning Gears. Kolstein Fendt Model Endpin with Carbide Tip. 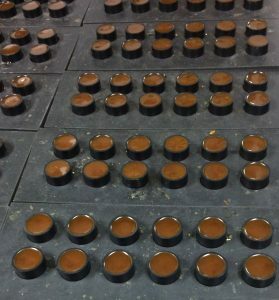 Exacting research and development has perfected Ultra Formulation Supreme rosin in several grades: Violin, Viola, Cello medium, Cello normal, Bass in All-weather, soft or hard grade and a Bass Duo-Pac which contains half moons of hard and soft bass rosin in one container. World famous for its low powdering and smooth, easy bowing. 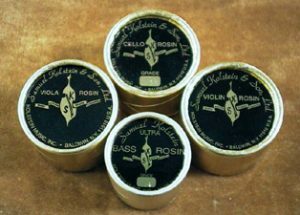 Plus, for a limited time, we’re offering our special limited-run Winter/Holiday blend (soft) bass rosin. Just select the holiday blend from the grade drop-down at the website. 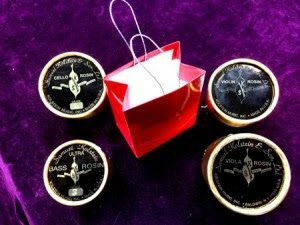 All rosins – Specially Priced at $13.50 per cake, now with holiday gift bag, Take Advantage of the online Holiday “Take10” Special Offering. Kolstein’s “TAKE 10” special offering. Take 10% off any purchase on the Kolstein website, just by entering TAKE10 in the coupon box at checkout, or by saying you have a TAKE 10 discount for telephone orders. Additionally, we’re offering a $100 in-store discount for any instrument or bow purchase priced at $600.00 or more. Just print the below coupon and redeem it in-store. 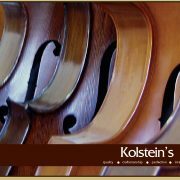 For more information on these or any other of our fine instruments or accessories, please visit us at www.kolstein.com.